France 3 Cinema - Jouror Productions - uFilm All Rights Reserved. 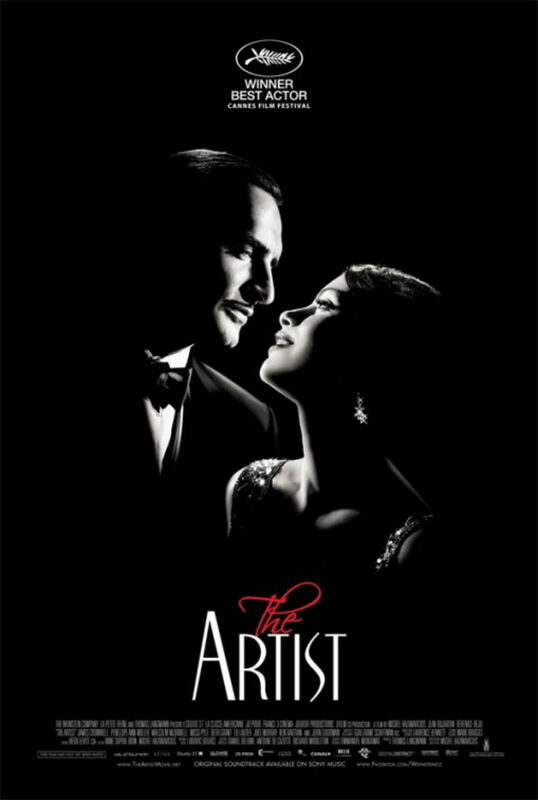 本映画『 アーティスト　(2011) THE ARTIST 』は、第84回アカデミー賞では作品賞をはじめとする10部門にノミネートされ、作品賞、監督賞（ミシェル・アザナヴィシウス）、主演男優賞（ジャン・デュジャルダン）、作曲賞（Ludovic Bource）、衣裳デザイン賞（マーク・ブリッジス）の5部門で受賞した!! 『 Be Cool／ビー・クール　(2005) BE COOL 』 衣装 ? In 1927, silent film star George Valentin (Jean Dujardin) is attending the premiere of his latest film, A Russian Affair. Outside the theater, Valentin is posing for pictures for the press (Ezra Buzzington, Fred Bishop) when a young woman, Peppy Miller (Berenice Bejo), admiring Valentin from a packed crowd of adoring fans, drops her autograph album. She bends down to retrieve it and is accidentally pushed into Valentin, who reacts graciously and makes a show of it for the press photographers. The next day, Miller finds herself on the front page of Variety with the headline "Who's That Girl?" Later, Miller auditions as a dancer and is spotted by Valentin, who insists that she have a part in Kinograph Studios' next production, despite objections from the studio boss, Al Zimmer (John Goodman). With a little guidance from Valentin, Miller slowly rises through the industry, earning more prominent starring roles. Two years later, Zimmer announces the end of production of silent films at Kinograph Studios, but Valentin is dismissive, insisting that sound is just a fad. He decides to produce and direct his own silent film, financing it himself. The film opens on the same day as Miller's new sound film, which also happens to coincide with the 1929 stock-market crash. Now Valentin's only chance of avoiding bankruptcy is for his film to be a hit. Unfortunately audiences flock to Miller's film instead and Valentin is ruined. His wife, Doris (Penelope Ann Miller), kicks him out, and he moves into an apartment with his valet, Clifton (James Cromwell). Miller goes on to become a major Hollywood star. Later the bankrupt Valentin is forced to auction off (Auctioneer: Basil Hoffman) all of his personal effects, and fires Clifton, who is reluctant to leave Valentin despite the fact that the actor has not paid him for a year. Desperate and drunk, Valentin sets a match to the celluloid canisters of his earlier films, and is trapped in his house as the fire spreads. His dog (Uggie) attracts the help of a nearby policeman (Joel Murray), and after being rescued Valentin is hospitalized for injuries suffered in the fire. Miller visits the hospital (Doctor: Harvey J. Alperin) and asks for him to be moved to her house to recuperate (Nurse: Lily Knight). He awakens in a bed there, to find that Clifton is now working for Miller. Miller insists that Valentin co-star in her next film, threatening to quit Kinograph Studios if Zimmer does not agree to her terms. After Valentin learns that Miller had purchased all his auctioned effects, he returns to his burnt-out apartment. Miller arrives, panicked, and finds that Valentin is about to attempt suicide. The two reconcile, and remembering that he is a superb dancer, Miller persuades Zimmer to let them make a musical together. Sound finally comes in as the film starts rolling for a dance scene with Miller and Valentin. Once the choreography is complete, Zimmer calls "Cut! Perfect. Beautiful. Could you give me one more?" Valentin, in his only audible line, replies "With pleasure", in a strong French accent.